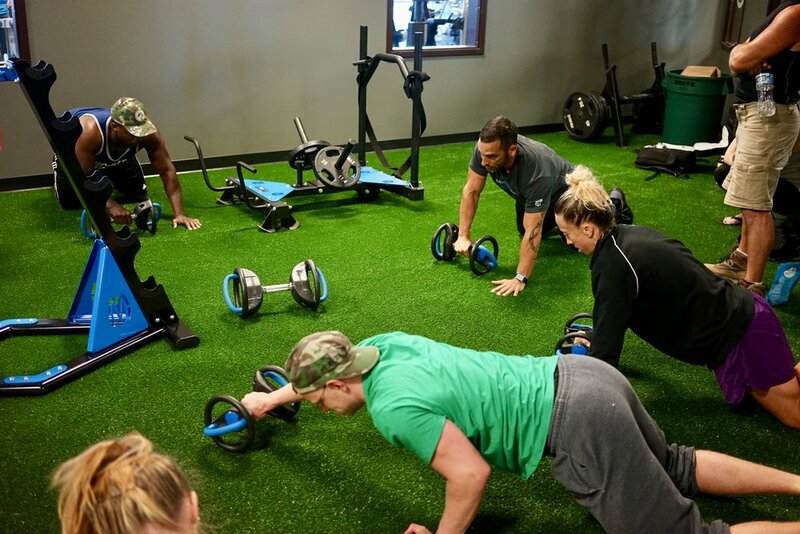 When the management of Gold's Gyms in Virginia decided to create a new dedicated team training space for their members and personal training clients, MoveStrong was chosen to assist with a Functional Training Station model that would best fit their space and class needs. The MoveStrong Nova-6 FTS with extended monkey bar bridge was customized for their needs. 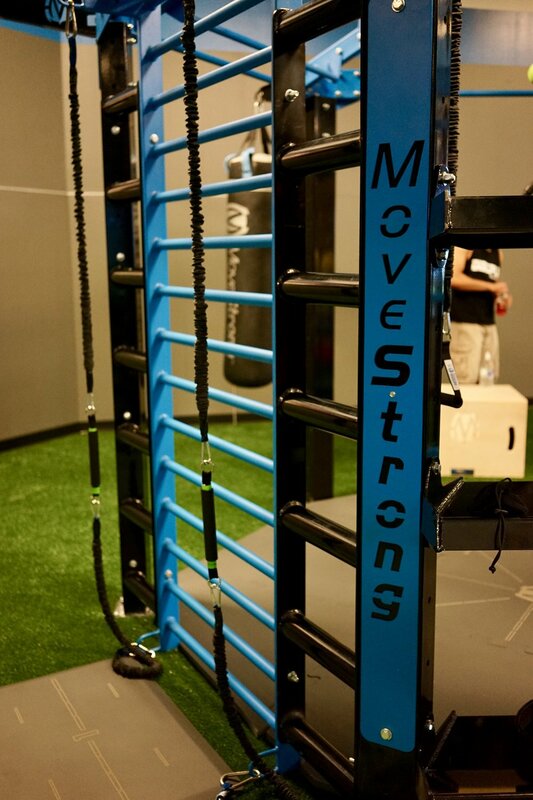 MoveStrong functional training tools where selected also to offer variety in training for the dedicated space such as the new Mantis Power Sled, DynaBells, Elevate Trainers, and more. Gold's Gym Ashburn is one of three locations in the North Virginia area. Our other two locations are in Clocktower and Sterling. 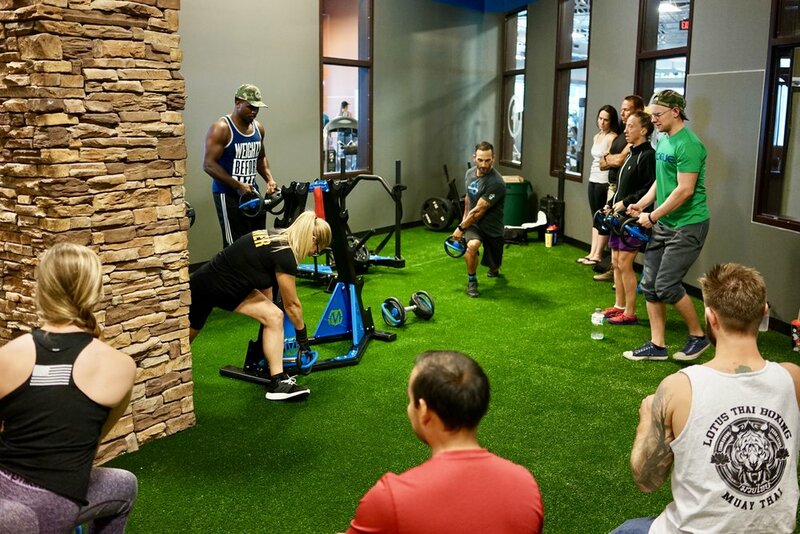 At Gold's Gym in Ashburn, you will find the latest strength training and cardio equipment, plus group exercise classes including Les Mills Classes, Cycling, Pilates and more! We combine the most diverse amenities with world-class personal training to deliver unrivaled fitness options and weight loss programs. Call or visit our website at http://www.goldsgym.com/ashburn-broadlands/ for a Free Trial Membership!